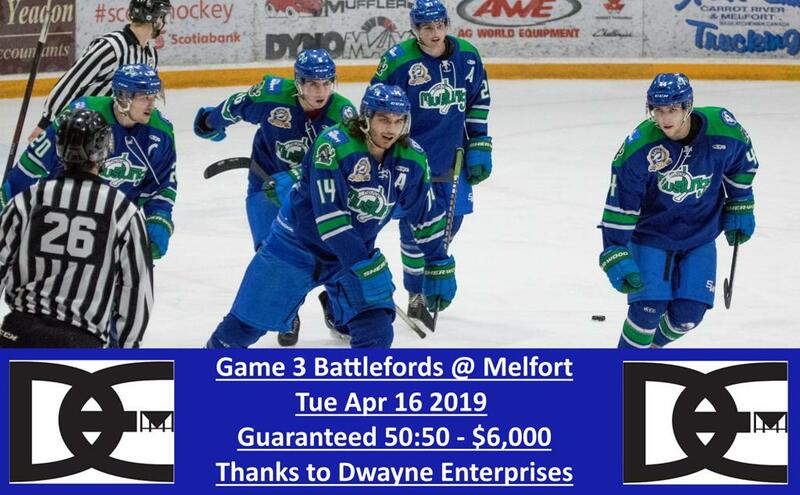 After splitting the first two games of the SJHL Finals in Battleford, the Melfort Mustangs return home for Games 3 and 4 in Melfort. Game 3 goes tomorrow night while Game 4 will be on Wednesday. Tickets are available now and they're selling fast. You can get your tickets online at tickets.melfortmustangs.com or at the Mustang Ticket Office both today and tomorrow. Also for Game 3 Tuesday, Dwayne Enterprises has guaranteed a $6,000 50:50 pot! Don't miss out as someone is guaranteed to be taking home over $3,000. Game times on Tuesday and Wednesday are 7:38pm! See you at the Palace!